Towards the end of 2018, Virgil Abloh hinted at the end of his “THE TEN” collaboration. Now, less then a month after, we share product imagery of the line’s third Air Max 90 iteration. Dressed in “Desert Ore/Desert Ore/Hyper Jade-Bright Mango,” you’ll find suede and nubuck touches throughout its monochromatic upper, with its lateral and medial Swoosh logos done in bright mango. The collection’s deconstructed theme is carried out thanks to the unfinished edges, shifted tongue tabs, industrial-like stamp on the medial sides, and a signature zip-tie. 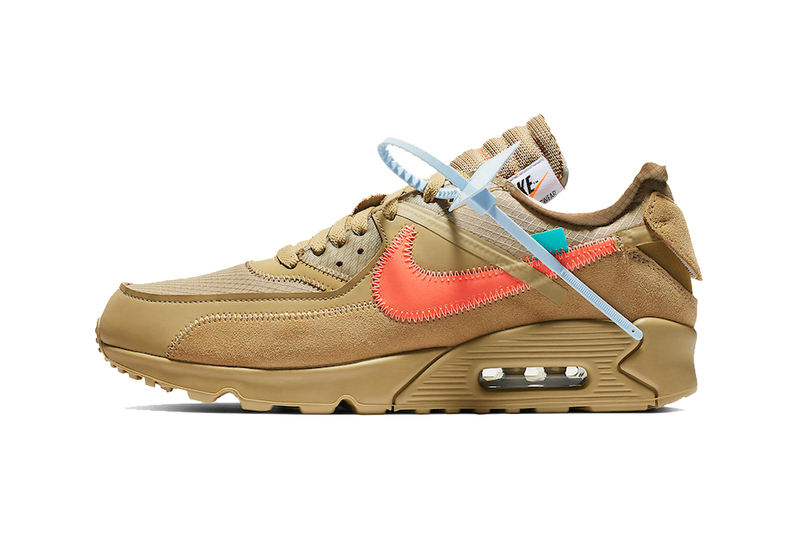 At the moment, the Off-White™ x Nike Air Max 90 “Desert Ore” is rumored to arrive on January 17 for $160 USD at select Nike Sportswear retailers in addition to Off-White™ flagships. Stay tuned for further launch information. If you’re looking for something a little more luxe from the mind of Abloh, you can take a look at Louis Vuitton’s new Zig Zag sneaker. Adding some Spring colors to your rotation. The Tokyo label’s latest off-kilter offering. A step back from its 2019 edition.